One of the most daring actions in the history of naval aviation took place on February 12, 1942. Eighteen naval aviators from the Fleet Air Arm (825 Naval Air Squadron) flew six fabric-covered Fairey Swordfish bi-planes from RAF Manston in an attack on the might of the German Battle Fleet in the Straits of Dover. The British top brass thought the German force would only travel through the Straits of Dover at night and had rested the majority of its air crews, leaving just the six Swordfish available to combat the German threat. As crews were frantically scrambled, the six biplanes flew on, determined to attack the battleships Scharnhorst and Gneisenau which were in turn protected by 6 destroyers, 40 flak ships and 200 fighter aircraft. Crippled and ablaze before they had even got within range of their targets, the heroic British naval aviators delivered their attacks and paid the ultimate sacrifice with only 5 of the aircrew being rescued and all of their aircraft destroyed. 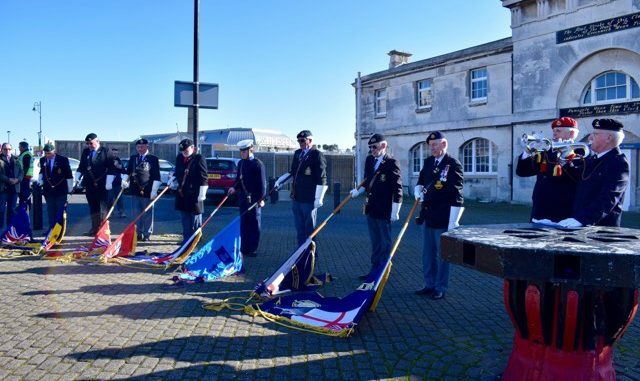 In honour of these courageous men from Operation Fuller a service of remembrance is held each year on February 12 in front of the “825 Squadron” memorial at Ramsgate Harbour. It is being held at 11am. Mayors from Margate Broadstairs and Ramsgate and other dignitaries will be attending. 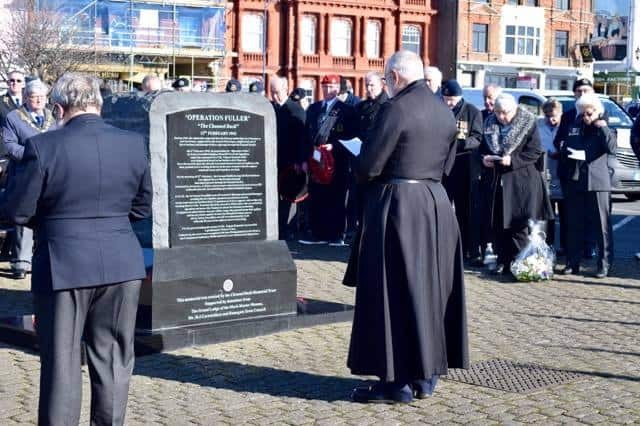 As members are aging It is hoped that more people will come forward to join the Channel Dash Memorial Trust and to help perpetuate the memory of those brave men on one of the most auspicious days in naval history. If you are interested in joining contact Sheila Howard at sbhavenhurst@gmail.com or call 07846118839.